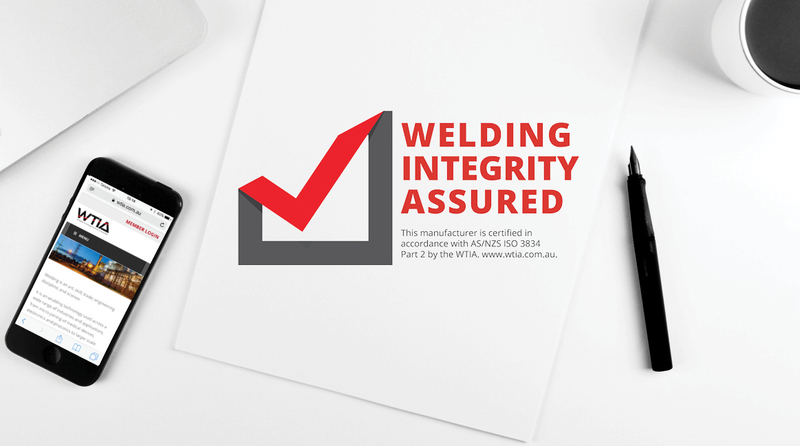 Developed on behalf of the Welding Technology Institute of Australia (WTIA), the Welding Integrity Assured logo demonstrates that a manufacturer has been certified to ISO 3834 (Part 2) by the WTIA. The objective of the logo is confer instant recognition of high quality welded products. Wordly provided numerous design options and concepts for decision by the WTIA.